I have an informal goal to visit every continent on the planet, and near the end of the month, I’ll be able to cross another continent off my list: South America. I’m going to Brazil for work. This will be my first time in South America, and that leaves one last continent on my list: Antarctica. I would also like to spend more time in Africa, because I was only in Mauritius, a small island off the coast of the continent (but technically part of the African continent). Kinda like Japan is an island off of the Asian continent. 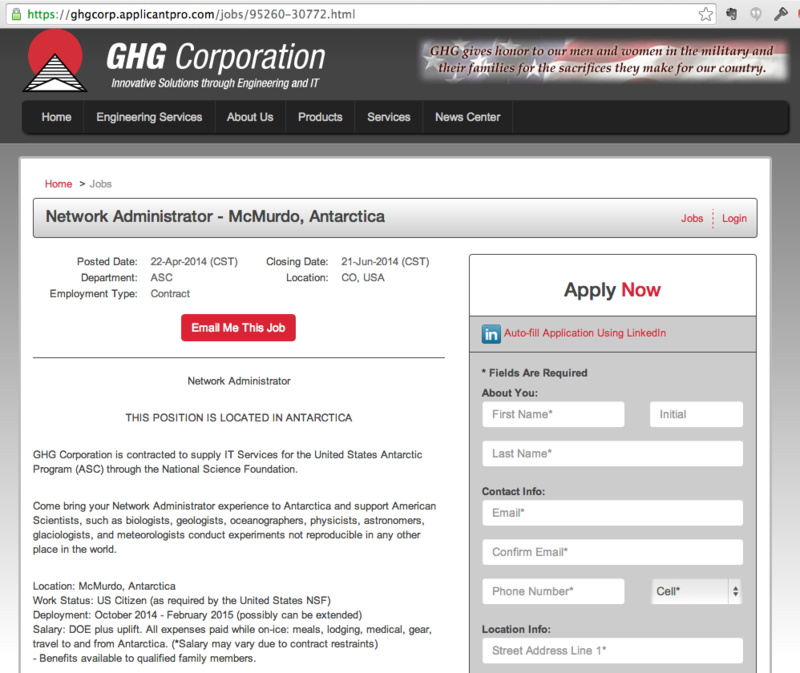 Getting to Antarctica will be a lot more interesting – I doubt I’ll ever get to work at McMurdo or travel there for work (although, they do need network administrators! ), so it’ll have to be a leisure trip. And the only way to set foot on the continent is traveling on a boat of less than 100 people – otherwise, you can see Antarctica, but not set foot on it due to environmental concerns. And almost all of the small boats that go to Antarctica are luxury boats – not my idea of a good time. I don’t like cruise ships to start with, I’d especially hate one that’s “luxury”. I’m hoping by the time that I have enough time to enjoy such a trip, there will be other options to visit there. Seriously, I’m OK with stepping off a boat, wandering around for 10 minutes and getting back on the boat – it’s just the experience of being there! This entry was posted in Travel on May 13, 2014 by Mom. I leave the states on an overnight flight to Sao Paulo on the 24th, and get home the morning of the 28th (also an overnight flight back to the states). I have almost 6 hours of layover in Sao Paulo on the way home, so I’m hoping I might get the chance to leave the airport and explore a tiny bit.